It’s perfectly understandable that many of us go through our daily lives assuming we’re immune to bad things. Unfortunately, we can be the victim of a vehicle collision or a work accident and it’s important to know what to do when that happens. If you’re injured, you need to know what your options are when it comes to seeking damages against the party at fault. Despite the number of fictional books, TV shows, and movies available that focus on legal proceedings, the majority of people are still relatively uninformed when it comes to personal injury law. It’s important to understand some of the nuances surrounding this aspect of our legal system. 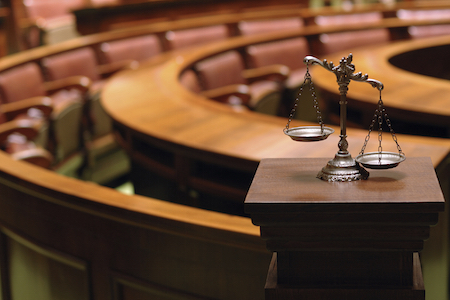 What is a Personal Injury Law Case? Let’s start with the basics: a personal injury case is a legal dispute that occurs when someone incurs harm from injury or accident and another party might be legally responsible. The party that suffers harm, known as the ‘plaintiff’, can file a civil complaint through the courts against the party that they believe caused them harm, known as the ‘defendant’. The main argument of the plaintiff’s case is the defendant acted irresponsibly or carelessly in connection to the incident that caused the damage. The above scenario would be a formal lawsuit handled by the courts. However, an informal settlement is more common in these instances, happening before the lawsuit is ever filed. Those personally involved in the incident, along with their legal representation, choose to discontinue any further legal action against each other, instead agreeing to monetary compensation for the injured party. It’s important to note that the state of Texas has a ‘shared fault rule’, which gives the defendant leeway to claim that the plaintiff is (partially) at fault for the incident that led to the injury. This means that a settlement value can be reduced by an amount equal to the percentage that the plaintiff is at fault. If the plaintiff is found to be 50% or more at fault, they cannot collect anything from other parties. When Should I Get an Personal Injury Lawyer? There isn’t a concrete answer to this question, but there are certainly a few things you should be aware of. Firstly, in the state of Texas, there is a two year statute of limitations for personal injury cases. This means a formal lawsuit must be filed within two years from the date the injury occurred. However, if your injury was the fault of an entity or person in the Texas government, the case must be filed within six months of the incident, and it has to be filed against the individual unit, not the Texas government itself. You should be seeking representation soon after an injury occurs, but they’ll typically advise you to wait until the full extent of your injuries is known before filing a suit or trying to reach a settlement. Is One Type of Personal Injury Law Firm Better Than Another? In regards to personal injury cases, the law firm you choose to work with should be based on their experience. Finding a great law firm doesn’t have to be difficult if you know what to look out for. Ideally, you want to work with a firm that specializes in personal injury and malpractice law. The attorneys in these firms understand how to aggressively pursue damages on behalf of the plaintiffs. Whenever you’re injured, you and your loved ones don’t need to go through the ordeal alone. Find a law firm and personal injury lawyer who will advocate for your rights and the justice you deserve from those who caused you harm.